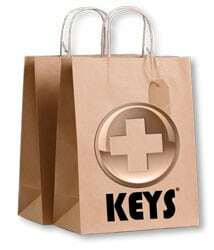 All Keys products are Vegan, Gluten-Free, Non-GMO and Free of Man-made Chemicals. They are functional ProBiome® developed products offering natural alternative solutions to problems. They are made from whole natural ingredients sourced from honest sustainable suppliers around the world. All ingredients are the highest grade of quality and performance available. All extracts are designed and made by us in our “Live Lab” herbal distillers. We support the EWG, SafeCosmetics, Recycling and other well intentioned organizations. Heat Cool – A Skin Care Breakthrough: Creating Our Own Botanical Extracts! It has been a goal of mine for many years to develop products made from extracts that we would design and distill. Ancient alchemy, Chinese herbalists and aboriginal healers taught me their secrets. More important, they inspired me to seek the elusive answers. Alternative Naturals botanical solutions all started with a problem to solve. Unlike western medicine curing symptoms, we search for the cause and an imbalance in the skins microbiome. Our belief is that there is a symbiotic relationship between the skin and the environment that includes nutrition, good bacteria and hydration. Take these factors out of balance and the skin alters to self-correct the problem. Chemicals in our lives and in the products we use is most certainly a cause of imbalance and many are destructive to the skins microbiome and health. As our largest organ, the skin warns us when it is uncomfortable, diseased or dehydrated. The quest is to find a combination of herbs, botanicals and fruits that when blended together create a helpful agent to the skins own ability to repair itself. The challenge is to find both prebiotics and probiotics that aid the skin without harming its microbiome. We call it Applied Alchemy. We gather, blend and distill our own botanical extracts and produce them in our own laboratory which resembles a state-of-the-art clean room using crystal spherical distillers.